Seven members participated in the first ACOPIA Star Project: Dream Team! The members are Yutsuki, Yumi, Sai, Uni, Izumi, Kaho, and Kataro. These seven people trained together for a month and worked hard as team! The teacher gave them a good idea of their standing and where they were supposed to show their dance during a a public performance! In addition this this, the teacher has also taught new cover dances and rock dances. Training under various choreographers has been fulfilling because trainees have learned various kinds of dances. 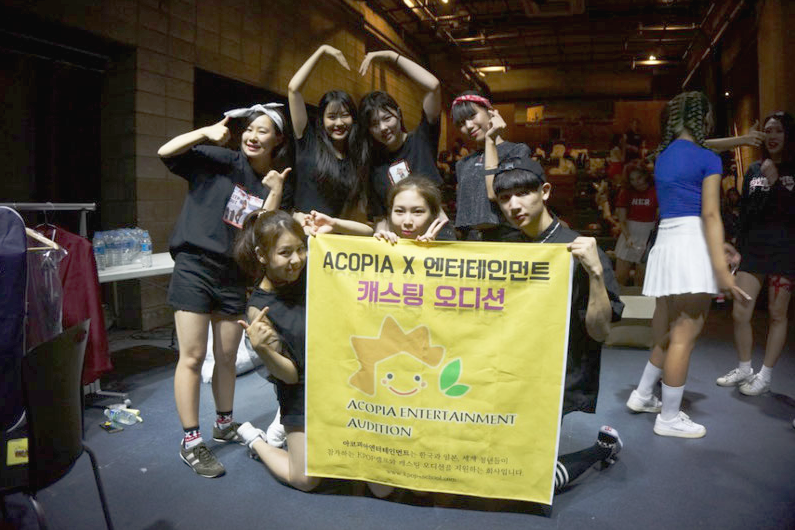 The trainees participated in the joint auditions sponsored by ACOPIA where 10 entertainment companies took part in! 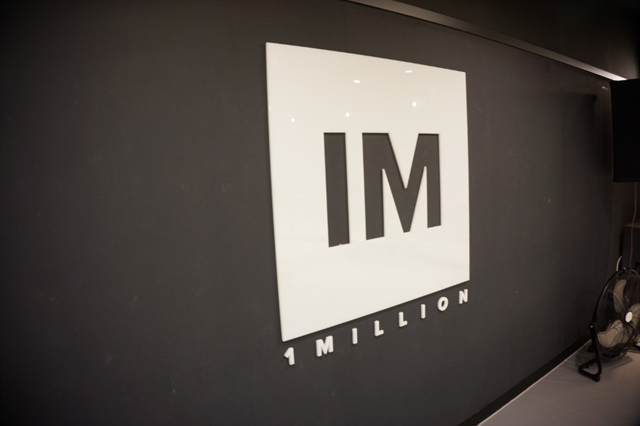 The trainees participated in hands-on lessons at world famous dance studios like the 1Million Dance Studio and the ALIVE Dance Studio. Famous choreographers, like Mary J Lee and many others, trained the trainees of ACOPIA Star Project: Dream Team. Many groups perform Kpop dance and song covers on the streets of Hongdae. The DREAM TEAM also had a public performance as part of their training and their exposure to the public. For their first performance, the Dream Team trainees danced together on stage as Korean trainees! Their second performance was held outdoors. They were happy to meet a lot of fellow trainees and new friends in the waiting room, and they were happy to see children dancing and imitating them while they were performing. The seven trainees worked as hard as any Korean trainee. They entered a lot of lessons, events, street performances, auditions, and many more. Thank you for working hard for a month! ACOPIA is looking forward to seeing on stage in Korea soon!